iPhone 6 & iPhone 6 Plus – Will You Upgrade? 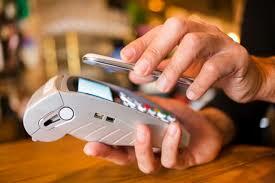 Are you looking for a way to accept credit cards on your mobile phone? Are you interested in converting your tablet into a POS system for your small business? Luckily, there are many services out there that will meet your requirements such as the mobile chip and PIN providers, like Intruit Pay and WorldPay Zinc. This service can also handle checks and cash, integrated with the existing service. Right now we will discuss two different services used for taking payments using a mobile phone: Flint Mobile and Google Wallet. Flint Mobile – With this service, you don’t have to use a credit card reader to accept credit cards; the only think you need is your phone’s camera. Instead of swiping the credit card with an attached extra hardware or dongle, Flint Mobile will let you take a payment by simply scanning the credit card number. This service can also handle checks and cash, send invoices for online payment and manage customized coupons. Flint Mobile App can be downloaded free of charge, there are no fees for managing invoices, coupons, cash and check, while the transactions fees for debit card payments are 1.95% and for credit cards 2.95%. Google Wallet – If you are looking for a way to accept payments both in-store and online, this service might be a good solution. Google Wallet uses NFC (Near Field Communication) and presents a quick payment method, which is a good choice for merchants looking to expand online customer base or to cut back on long lines. In-store transactions require business to have NFC reader (which can be bought or rent from First Data), while customers need to download Google Wallet app, run it and hold their device over to reader in order to make a payment. There are no additional charges from Google, so businesses pay the normal card-present fees. In case a business already uses a payment-processing service online, without extra cost, Google Wallet can be integrated with the existing service. In case you choose to use Google as your only payment processor, transaction fees are 1.9% and more. Every business is unique which means it requires different service for taking payments using a mobile phone. It’s important to take consideration technical requirements, fees and convenience before making a decision.